Info Required for New Equipment Setup and On-site Installation. In order to provide you with a smooth and professional installation we will need some information from you. 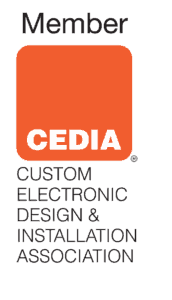 Our team will start programming and testing your new equipment and have it all ready for the installation day. Please provide us your APPLE ID credentials. Please provide us your SONOS credentials. Don't remember your password? You can reset the password CLICK HERE. For Android users. Go to the Play Store and download the SONOS Controller App. For Apple users. Go the App Store and download the SONOS Controller App. Our tech team will finish the setup on your device on installation day. In order to avoid delays on installation day, you must have a SONOS account created. When you have the account credentials switch the answer to YES. Now, please CLICK HERE and create your account. Please provide us your PANDORA Radio credentials. Please provide us your SPOTIFY Account credentials. - Please have the last bill/statement handy in case our tech team need to call your cable service provider. - Make sure you have enough cable boxes. - If you have scheduled the cable TV service installation day for the same of our installation day, please let us know. Please provide us how you want to call your new WiFi? Please provide us your RING credentials. For Android users. Go to the Play Store and download the RING App. For Apple users. Go the App Store and download the RING App. - In order to avoid delays on installation day, you must have a RING account created. - Please CLICK HERE and create your account. Please provide us your NEST credentials. For Android users. Go to the Play Store and download the NEST App. For Apple users. Go the App Store and download the NEST App. - In order to avoid delays on installation day, you must have a NEST account created. - Please CLICK HERE and create your NEST account. For Android users. Go to the Play Store and download the iVMS-4500 App. For Apple users. Go the App Store and download the iVMS-4500 Lite App. Please provide us your Amazon credentials. Don't remember your password? Go to amazon.com > Sign In > Forgot Your Password. For Android users. Go to the Play Store and download the Amazon Alexa App. For Apple users. 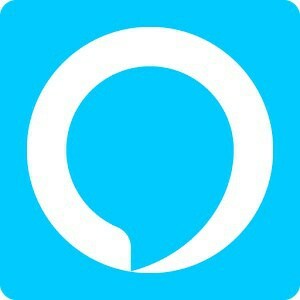 Go the App Store and download the Amazon Alexa App. - In order to avoid delays on installation day, you must have an Amazon account created. - Please CLICK HERE and create your Amazon account. Please provide us your Lutron Account credentials. - No extra info needed at this time. We will create the account for you. OK, No info required. Please move to the next question. Please provide us your GOOGLE credentials. Please provide us your Ecobee credentials. OK, No info required. All set. NOTE: When you press the Submit Button all your information will be AES-256 Encrypted. Your Passwords Are Safe.